From first look it appears to be a advanced version of PL-380 with bigger tuning knobs - bigger than PL660 and a new style of speaker cover - the speaker also claimed as new dynamic speaker - we can see... a so-called ultra-dynamic full-range speaker is used. The design of the audio section of PL880 might have benefited from Tecsun’s experience on making a few portable media-players (Tecsun A3/D3/X3/etc.) in the past couple of years. We should note PL380 is a DSP portable and PL600 or PL660 is PLL Synthesized receiver not DSP. They claimed the AM section of this new model adopts an architecture similar to ATS909X, i.e. dual conversion to 2nd IF of 450 KHz which is then inputted as RF signal into Si4734/5 and further down coverted to the IC's "low IF" for DSP decoding. so it is PLL Synthesized and IF is based on DSP just like Sangean it seems. It doesn't say anything about RDS which is great on Sangean ATS909X, and can’t remember that any Tecsun radio has RDS support. They said 18650 Li-ion rechargeable batteries are used in this model. Like Sangean it includes separate LSB/USB but 10 Hz step for SSB (implies dual PLL?). You know Sangean ATS 909X has 40 Hz fine tuning on SSB so better resolution eh? No mention of Sync. detection is a big loss like Sangean over Sony ICF 7600GR. There are four (2.3/3.5/5.0/9.0 kHz) AM bandwidths and five (0.5/1.2/2.3/3.0/4.0 kHz) SSB bandwidths. This could be a huge improvement over ATS909X which makes no use at all of the seven IF bandwidth provided by Si4735. 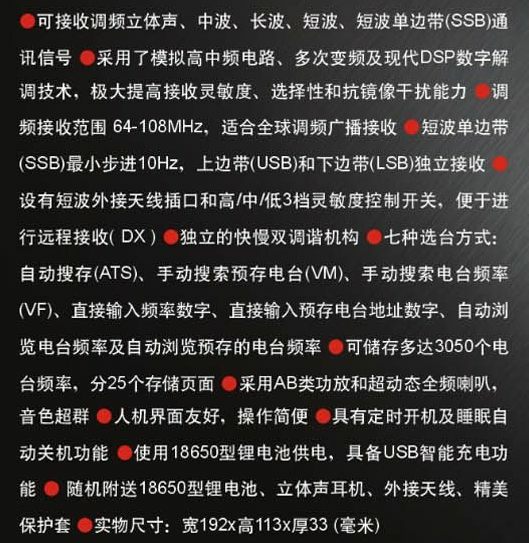 But Tecsun users already know that Tecsun's DSP portable always came with 5 bandwidth options 1/2/3/4/6 kHz from PL310 and they are very sharp. Can be charged via miniUSB power socket like many other Tecsun portables. 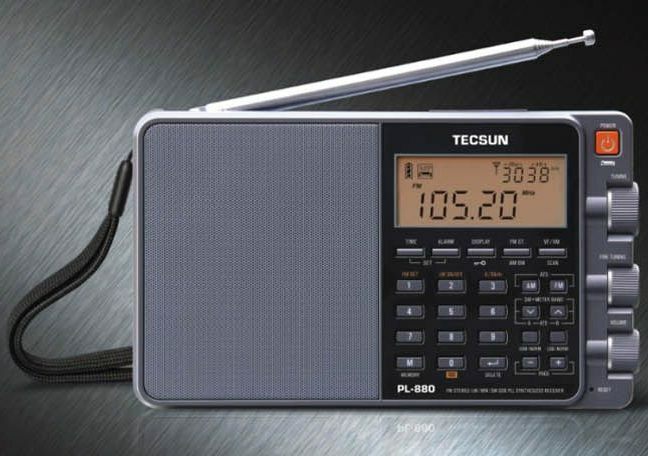 If you ask me whether should go for this one, I will say no because I havn't tested it yet and I found non DSP Tecsun PL 660 pretty outstanding then other Tecsun DSP based receivers.